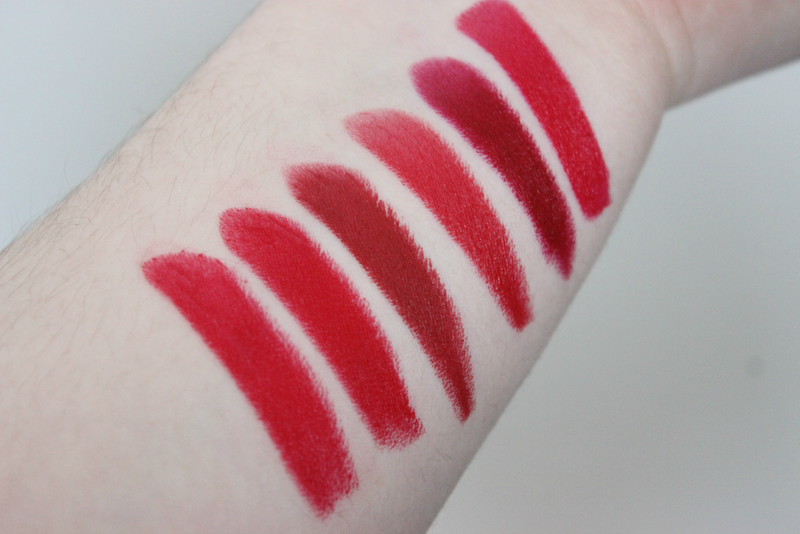 Hey loves today I have an exciting post on some of my favorite red lipsticks. 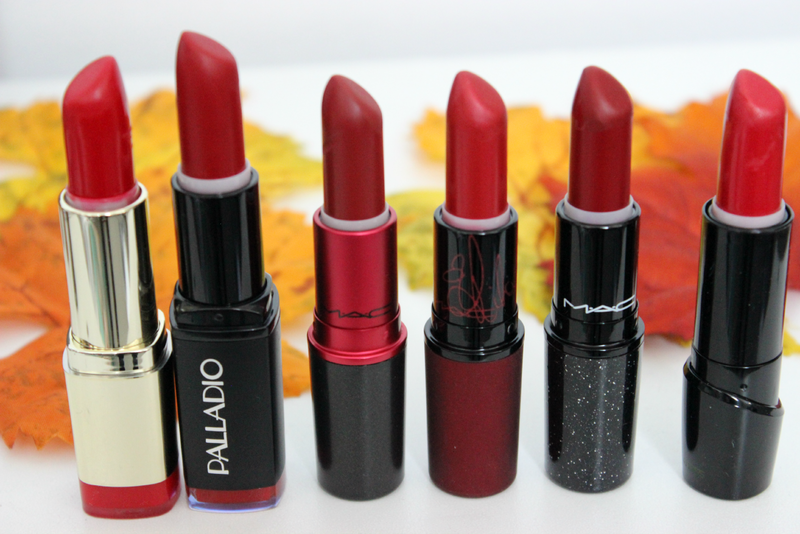 During the winter time, and especially during the holidays, I am a huge fan of red lips. 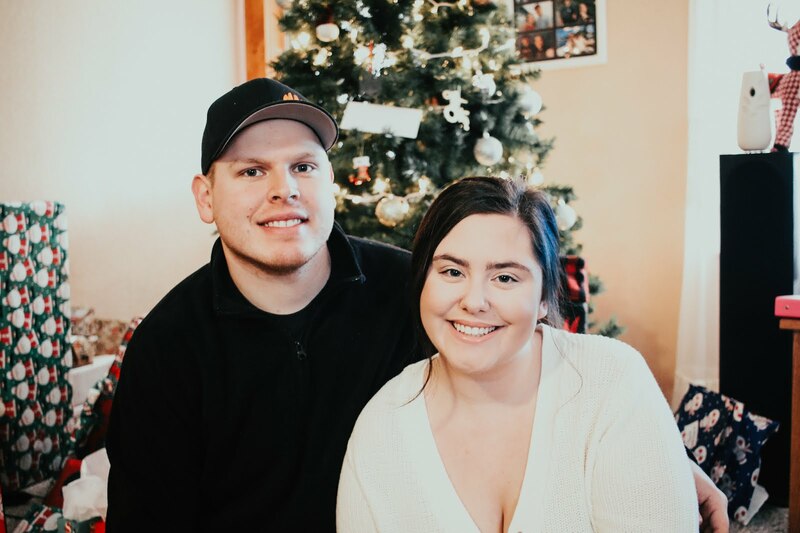 So I thought I would share with you some of my favorites. 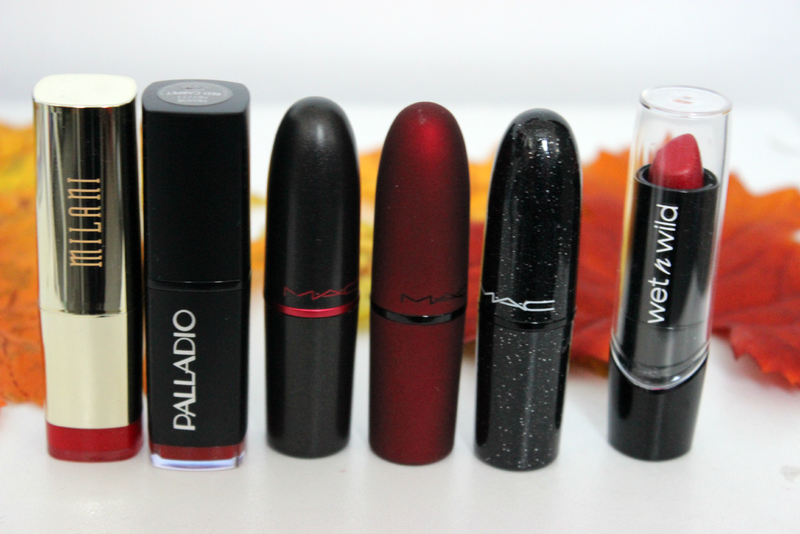 I tried to choose a few drug store lipsticks, as well as some MAC lipsticks. So if you are on a budget, some of these would be perfect for you! Wet N wild Lipstick in Cherry Frost- this lipstick is part of there new lipstick collection. I can be found at Dollar General currently. It is just like there other .99 cent lipsticks, just re packaged. I love the formula of this lipstick and the color is amazing for less then $1.00. Beautiful reds! I love the two deeper ones! Perfect for the end of year! Lovely collection! really like the Mac Salon Rouge!